Since about the New Year, I have started the day with an espresso in its little cup and saucer. I sweeten mine with a spoonful of sugar. 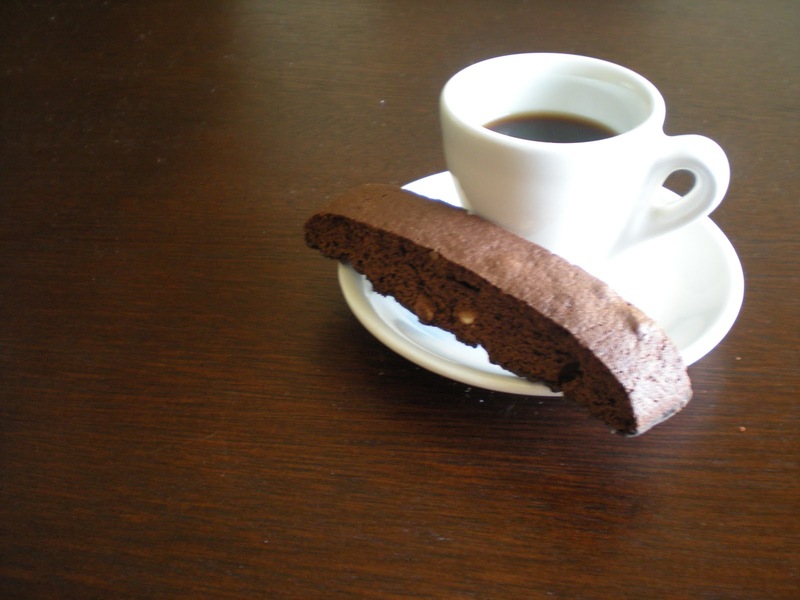 Since Saturday, I've had it with another Italian treat, biscotti. I just picked up a box of 8 individually-wrapped chocolate slices with almonds and the bottom dipped in more chocolate at my local grocery store, on sale for $2.50, and tried them; they're pretty good. I try to eat something with the espresso but I don't always have breakfast funding. 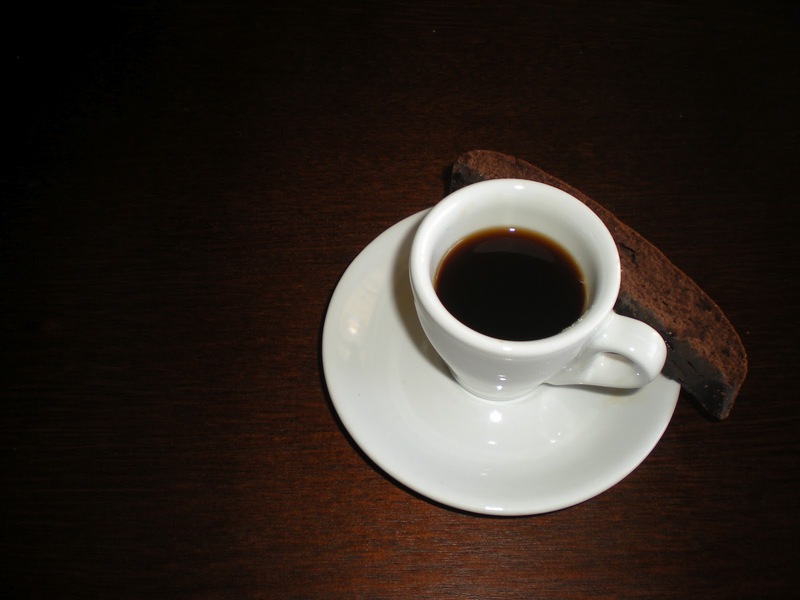 Just an espresso is a very Italian breakfast. Caffeine truly affects me and a shot of espresso makes me more productive and enthusiastic all day, which is helpful as I am basically a salesperson/ marketing director/ customer service representative from 9 to 5. Also in the morning, I'll been getting up at around the same time every day since about mid-January. I need to get out of bed at 7 or earlier on work days and have been rising sometime in the second half of the 6 o'clock hour. I've been pretty successful... Making something a habit is the key. It's much easier to get up when I make it a routine. Even on my days off, I am throwing off the covers on or before 8 AM. The world belongs to the early-risers ...or at least that's what I tell myself... From about the time stores open, I would be dressed and be looking presentable and just be up for anything during the day. Rising early with the fact that I keep myself busy means I have been finding myself exhausted at bedtime, instead of looking at the clock and thinking it's about time I turned in, like so often before. I'm probably fitting more into my day! Maybe this regular sleep schedule does help with my chronic insomnia... It's something I've always dealt with (using helpful measures, sure) and have learned to live with. I know I can function well on little sleep. However, a good night's sleep is important and could be news the next day! Not that I would be completely against occasionally throwing this effective routine out the window and sleeping in for hours, it is nice. Or with this insomniac, just staying under the covers. ...the day can't really start without me, right? "She holds you captivated in her path."